The other day I made a post about how difficult it's been for me to get decent jumping tarpon photos here on Pine Island. My best fishing buddy in Key West, the great Capt. Mike Bartlett, took these shots and it reminds me that if you can put enough fish in the air, you're going to snag some memorable pictures. These two might not be worthy of a magazine cover but they're better than anything I've captured so far this year. If you're planning a trip to the Keys, do yourself a favor and call Mike at 305-797-2452. 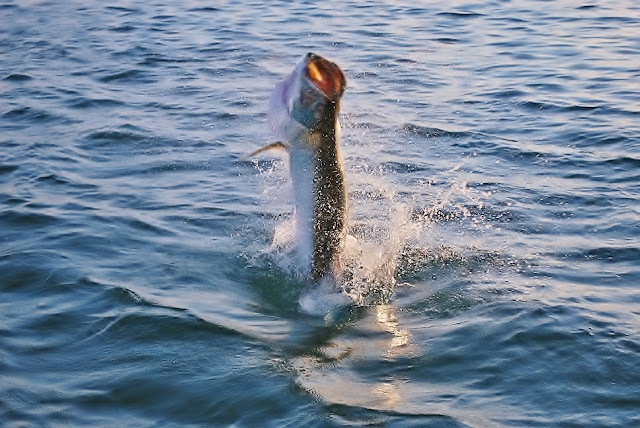 He'll put you on tarpon like this until the end of July.